... you were expecting sub links under the sitely section? really? 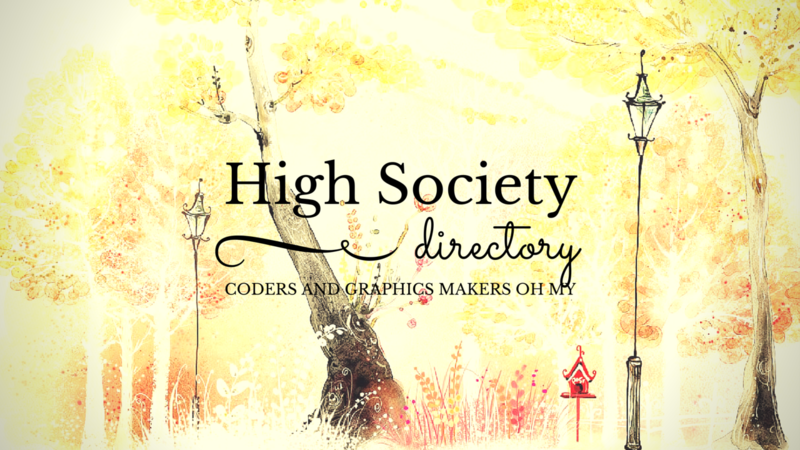 Welcome to High Society, a community hub for coders, graphics makers and site makers. Here the focus is not on the sites (though those are hella awesome, it must be said) - the focus is on the creators. You don't need to run a site to be listed, you don't even need to have anything uploaded on Neopets or sitting in a portfolio. All you need is a passing interest. Or an all encompassing, soul devouring obsession. That works too. Check out our gurus - these supremely awesome people have opened their inbox to you and are happy to answer your questions and offer any help they can. Well whaddaya know, we have a section for that. Whether you're a coder whose graphics are best left unseen or a graphics artist who just can't with the whole code thing, submit your interests and look for a match here. Just note in your listing form what collaborations you'd like to take part in, or drop me a line to update your entry if you've already been listed. Then, my friend, the only thing to do is to share it. High Society's News Feed is a running commentary on who's doing what in the site making community - whether you've opened a new site, uploaded some content too splendiferous to keep under wraps, tried a sloe berry for the first time and are filled with a burning regret, formed a sister-site partnership - whatever it is. Come shout it out. Scroll down. Down down down. Go to the awards section. Lookit the badges Sunny made us. Add a badge to your profile, your page, your car dashboard, you next tattoo. Now scroll back up and continue with life. That is all. New board up on the HC, one that hopefully explains a bit better to people what the board is for - namely that they are certainly allowed to ask for help there! The link from this page is updated if you ever lose the board itself. Also, new month means I've cleared up the news feed a bit and deleted some of the older updates. You know you are, stop fishing for compliments. Make it good news? For me? I cry too easily. Like, anything at all. I get lonely. Psych! No form. Just write. Queen graphics hasn't been open that long (as of July '16) but Brunna's button portfolio is already a mighty impressive thing - and stay tuned. There's layouts to come. Yo! I'm Emma. Coding is what I do, Beetle is where I put it. Graphics and I have an "it's complicated" sort of thing going on at the moment. I'm Gemmy I make graphics on and off neo, I'm a mom and wife. Reading, writing and working on crafts are a few things I enjoy. Hello! I'm Grace. I like to code for fun and to put the results on a page so others can use them. I also make graphics for whoever wants some in my spare time. Hola! I'm Jewlz. If you look at me on Neo it would seem I have no life since I run 8 sites on here. I do mostly graphics and coding related stuffs though. Hi!! I'm Kriffy, I'm from Canada, and customization is my thang! Colored Wishes had been providing you the unique, quality and cute customizations you need since March 22nd, 2016! We offer premade customs (NP+NC), customization reviews & requests, and a customization catalog of your fellow neopian's customs! Hey! I'm Mika and I enjoy messing around with buttons in my free time. My style switches a bit and I'm always looking to try out new styles. 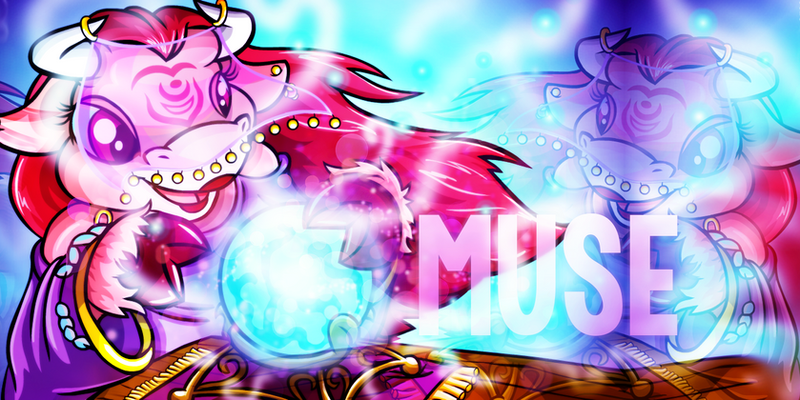 I came back on neopets after some years of silence and decided to create graphics again. I don't have a lot of things for the moment but I take requests with pleasure. I'm studying Journalism in university and I put way more effort into Neo than any of my assignments. Oops. I am a college student, currently obtaining my degree (and minor) in web & app development. I also can art. Hi, I'm Rico! I run the button request site Euphoric, and buttons are my main reason for existing on Neopets. I genuinely have no other skills, but buttons? I'm pretty great. 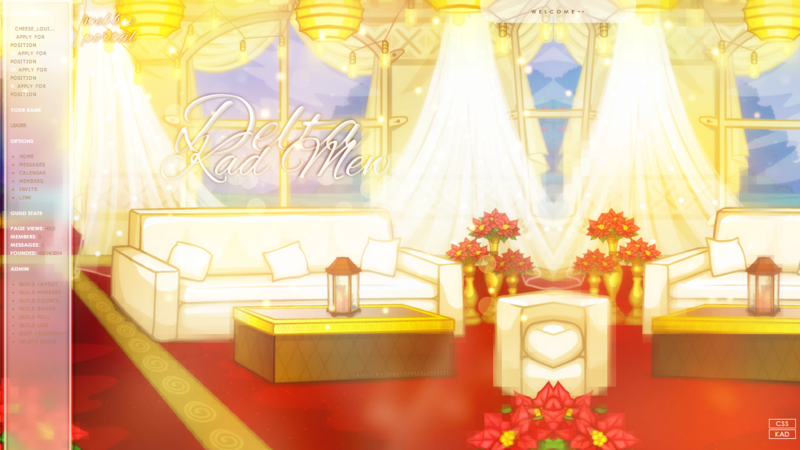 Ro makes graphics and buttons, and can I just say, they're some of the most beautiful creations. Like. So pretty. I think I've requested about five buttons from her now? Six? Hello there, I'm Sarah! I'm an 18 y/o self-taught graphics maker and coder. I run a custom petpage request site called Meraki (not to be confused with the premade site run by the amazing Tia; she used the name not knowing that I already had it, which is totally understandable!). I love making layouts and meeting new people, so please check out my site and feel free to neomail me anytime! 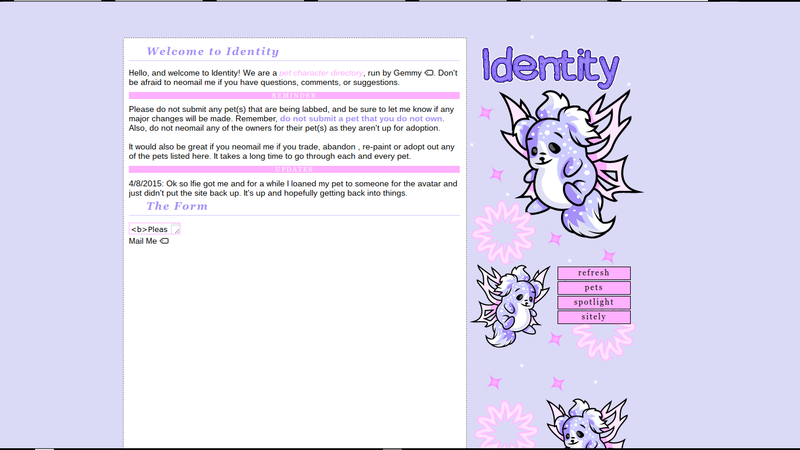 I'm Shaedi, I run a directory called Directly. 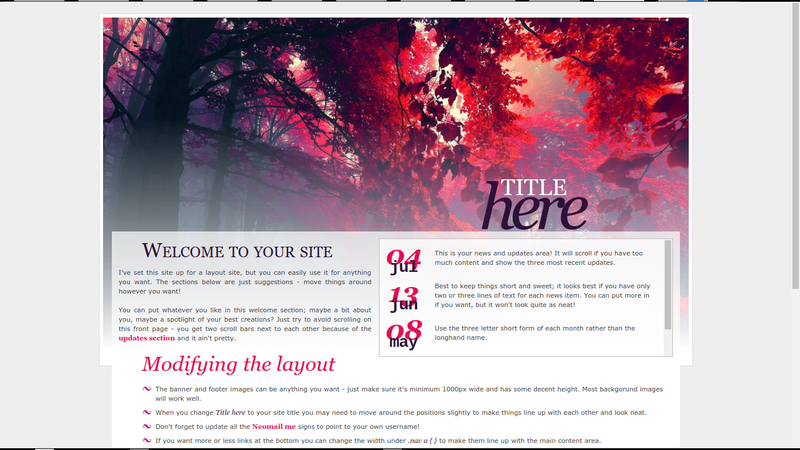 and a layout collab site called indirect; I love coding, but im sort of terrible at remembering how many things work. While my brain tries to cram all this info into itself, I heavily edit other coders premades and publish them on indirect; with permission & credit, of course! I'm Silver and I mostly make graphics (banners, adoptables and more). While coding may not be the area I'm most adept in, I enjoy creating graphics and would love to make more for others as well. My name is Sunny. I write guides and make sites nobody cares about. I share my code snippets and graphical experiments with the world. I'm Tia. 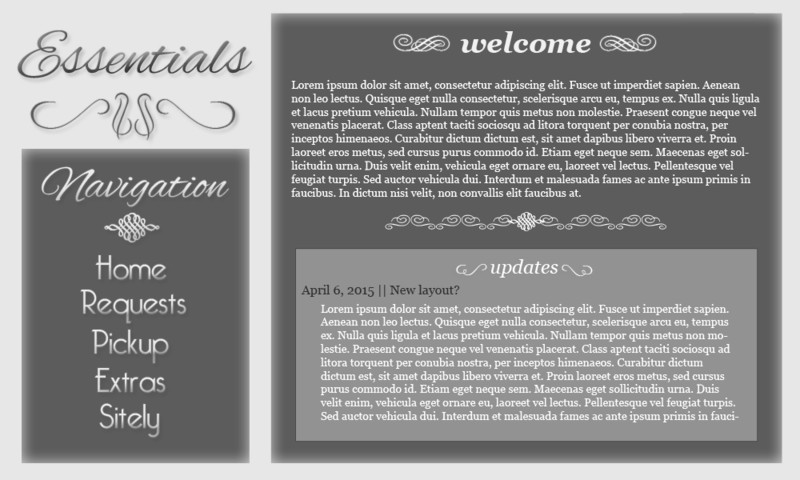 I run a premade CSS site but also love making graphics. 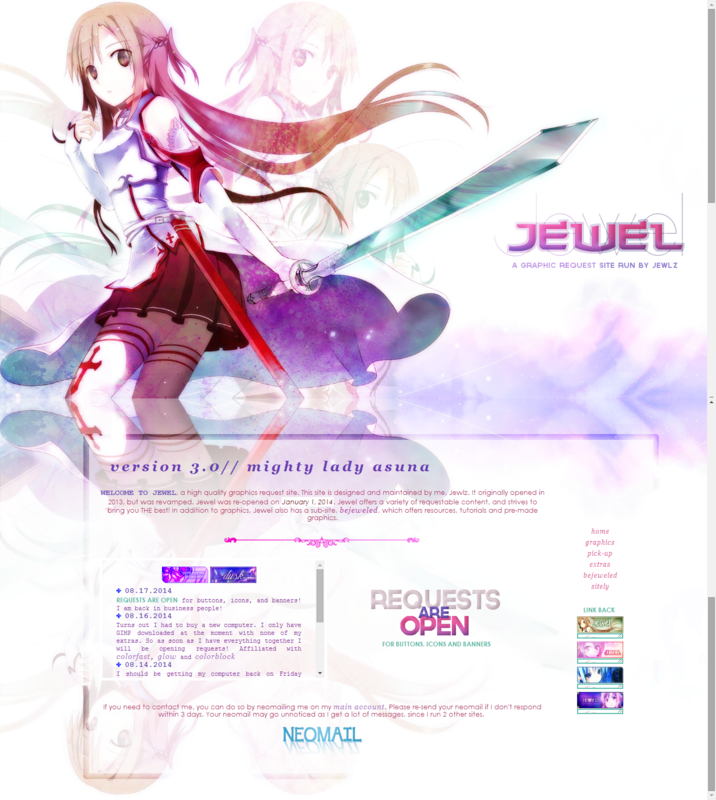 I taught myself coding/graphics way back when I first started playing neo and haven't stopped since. I love trying new things and improving on my skills. Have you seen the sheer number of graphics this girl creates? Hot dang. And then she goes and one ups herself by sticking in them layouts. Chill friend, you make us look bad. because jedi masters just spout nonsense and hit you with gimer sticks. You can ask me pretty much anything coding related. Tutorials are here and I run a tutorial page as well if you'd like anything featured there. I am a coding guru with a tiny bit of experience in guide writing, and a dabble of graphics making. I'm best with petpage coding but I can also get by with userlookups. I dabble a bit with graphics, but am far better with coding. She runs eight sites and has made who knows how many fabulous requests. You need help, Jewlz can help. Put me down for coding, I feel that's where I'll be most helpful. Coding, Art, Writing, anything really. I can do just about anything, I have a very high learning curve, so if you need help with something / anything don't be afraid to ask. ah man, these guys alliterate. so much cooler. Has a wealth of experience with making graphics ("maybe", she says, but pah) and can answer some coding questions as well. Knows many many things about graphics. Many. Look at this. 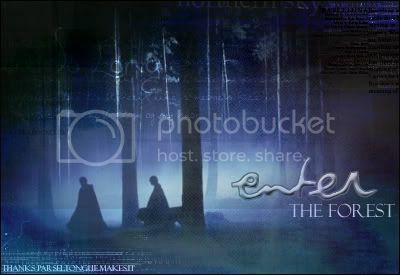 This is a site dedicated to graphics tutorials. Marvel at the awesome, and do not doubt Jewlz' ability to fix your problems, friend. Buttons. Mika is good at buttons. All the buttons in many styles. Yes. Buttons. That's all I'm good for. (But I'm good at them so, like, silver lining?) Seriously though, if you have any button-related questions, feel free to send them my way! This lot here? This lot can code. Can code userlookups or petpages, either working on a pure CSS layout with you or providing the code to match your graphics. I am willing to do graphics or coding, but I would prefer to work on the coding for petpages. I can collab on either graphics or code. I'm not the best at graphics, but if someone wants some little graphical things to add to their code such as icons or banners or things I could try to do that. Otherwise I'm really good at CSS layouts, so if someone wants to kick around ideas, i'm game for anything. Collabs? Well, yes. But not in the way advertised on High Society. I am interested in heavily editing premades for use on indirect; while i learn to code on my own. If anyone is interested in allowing me to do so (like Beetle & Silent Serenity do ) then i'm all for it! Graphically, I can do just about anything, in a relatively short amount of time, provided I've got the right motivation. I think my strength is in my individuality. 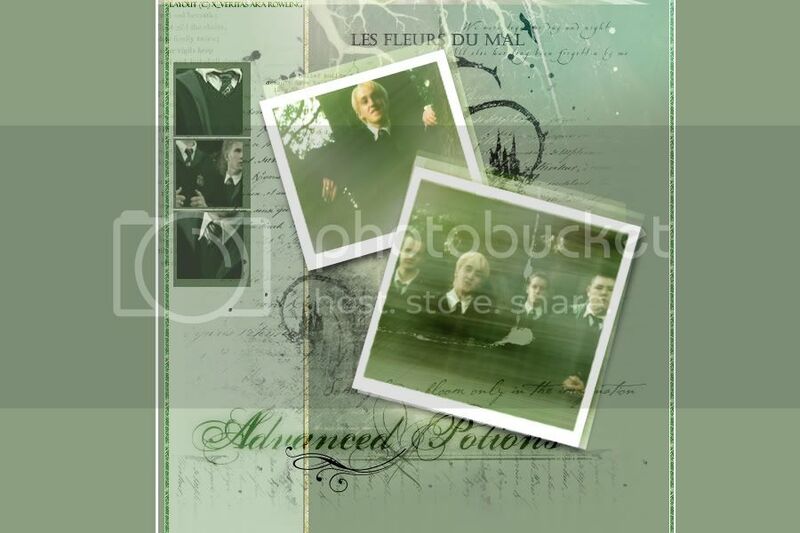 How many people do you know that make corner backgrounds, or dynamic banners? I can code a bit, too - mostly petpages, but the odd userlookup turns out pretty fine as well. Sure I'm open to do collabs! If you want me to collaborate in any way, doing anything, just let me know, I'm here! I've been making layouts for some time now, but buttons I just started some months ago, in the begining of this year. So I wanted to make you guys some achievement icon things with "graphics guru" or "collaborator at High Society" and other such fancy stuff, but. I just. Borders? Text?? Animations??? What is this sorcery. Halp? 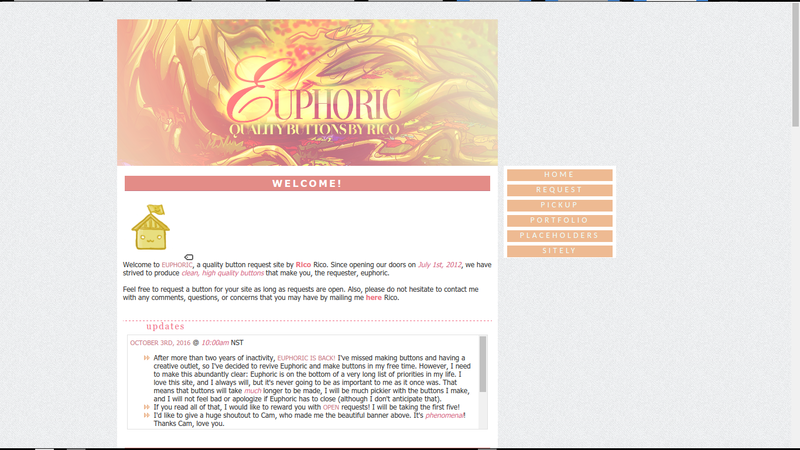 After more than two years of inactivity, EUPHORIC IS BACK! I've missed making buttons and having a creative outlet, so I've decided to revive Euphoric and make buttons in my free time. 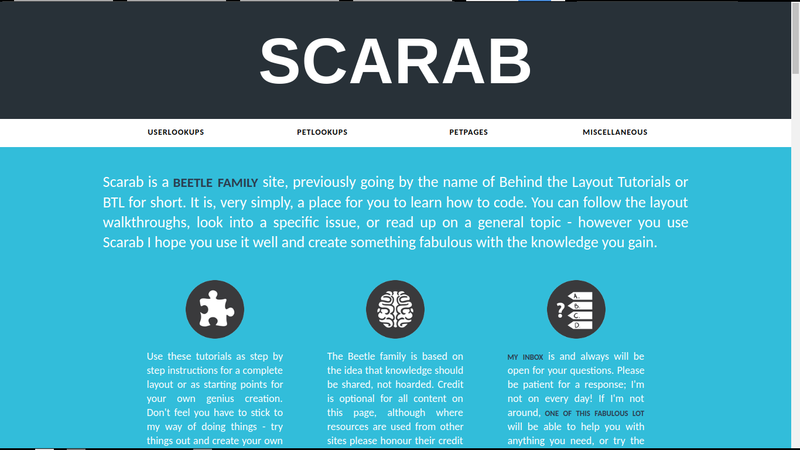 Beetle is being split up and replaced by the new Beetle Family of sites, the latest of which is Scarab replacing the old Beetle Tutorials. Clean and modern layout, better organisation, new tutorial content - what's not to like? 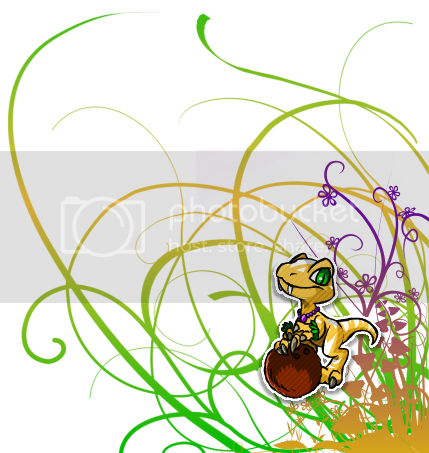 2nd October 30 new backgrounds, these ones autumn and Halloween themed. Enjoy! 2nd October New resources at Auxillium. 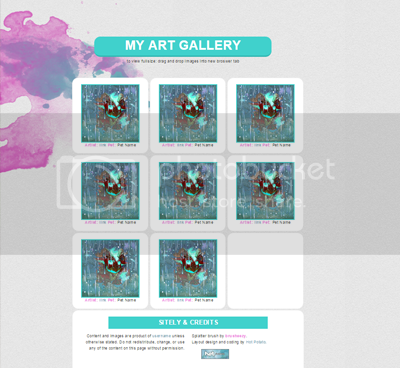 A few color palettes have been added! 2nd October Some new NM envelopes and bullets added! 28th September Requests are officially open for October! For now I will be doing 4 for the month. The planned schedule is to complete one a week, but I may open more up if they take me less time. 27th September Two new tutorial topics today - using filtered words on petpages, and making invisible scroll bars. 27th September Hello ! I've got some news : 6 new badges and a new section : Seasonal (where you'll find all about Autumn and Halloween) ! 27th September School is winding down a bit, so I am hoping to be able to add some more layouts & open up a few requests soon! Stay tuned in the next week or so for updates on that! 26th September Hi, everyone! I'm offering review requests for those who would like one.. They're very short but a review is better than no review. Check the community portal for more information and if you need to check my credentials, this is my review site. 26th September ...annnnnd. the TEXTURE TUTORIAL is up! enjoy! 24th September i finally got around to finishing the IMAGE MAP tutorial. i had to move some stuff around, so you can find it under the misc category. i'm hoping to have the texturing and cropping tutorials done soon! 20th September Requests have been closed for a little while, expect them to be reopened (hopefully) by this weekend. I'm almost finished with Christie's request. 17th September Button requests are open! Otherwise, nothing major to report. Three buttons completed. Now affiliated with Ashe's adorable and famous Chibi site, bisou. 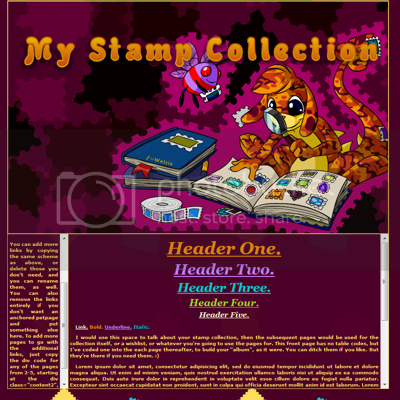 14th September The first of the Beetle Family revamps is complete: introducing Mariposa, offering patterned, neopets, non-neopets and transparent backgrounds for your pages. 12th September School starts again in a week, so requests will be completed at a slower rate. 12th September My news: Requests are still open at Jewel. 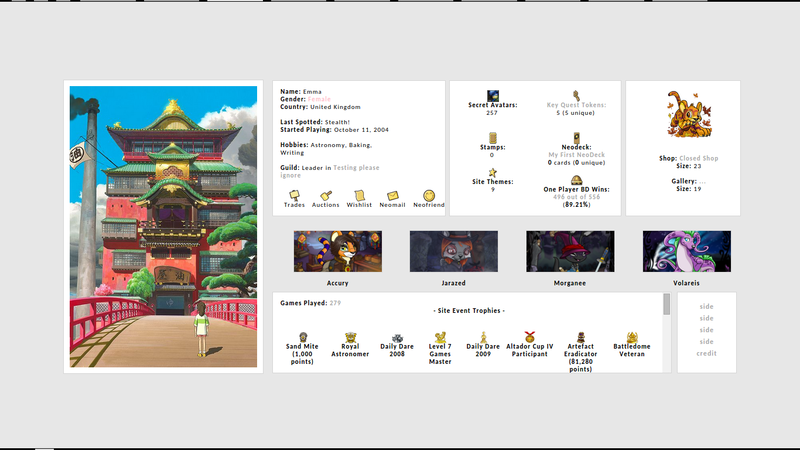 12th September + 1 Premade: An adoption/trading agency layout. 9th September I just updated Aurum Resources, added a few backgrounds and PNGs! 8th September It's been a while, but requests are open! I've finally gotten used to my schedule. 6th September Gazooks! Updates galore! Tons of new textures including some sent in by Sosu, two new backgrounds styles (blurred/textured) that look amazing, and a few other surprises! Requests are STILL open. 3rd September 4 new userlookups, a recipe page and a dedicated portfolio page added to the premades. Have at ye. 3rd September Requests are closed as of right now for September. I go back to school on Wednesday and don't want to promise anyone layouts and not have time to do them. I may open them up once I get settled, we will see. That's an uneven number of buttons. It hurts my soul. Quick, it's up to you to remedy this situation. No seriously guys, affies? Or something? And to The Button Club (run by a different Emma, originally here but the page has been repurposed) for being the inspiration behind High Society. Coding by Emma. Want it? Go for it. Please don't judge me for it, I swear my code isn't usually such a mess. Low opacity fills from lolwhut.